Everyone's favourite heavy groove masters Hobo Magic are back with some COSMIC CREAM, fusing light and dark, space and time with another crushing jam as the 2nd single release for upcoming album Mt Mind. In what's been an extremely busy year for the band with Japan tours, 3 national tours and 4 single releases, Hobo Magic are hitting the road for one more time before rounding the year out in a bid to spread the good riff to all and sundry. MELBOURNE fans are treated to a FREE SHOW at The Retreat Hotel on Friday 16 November alongside STIFF RICHARDS and Psychobabel. Doors from 8pm. Will pack out! Get in early. 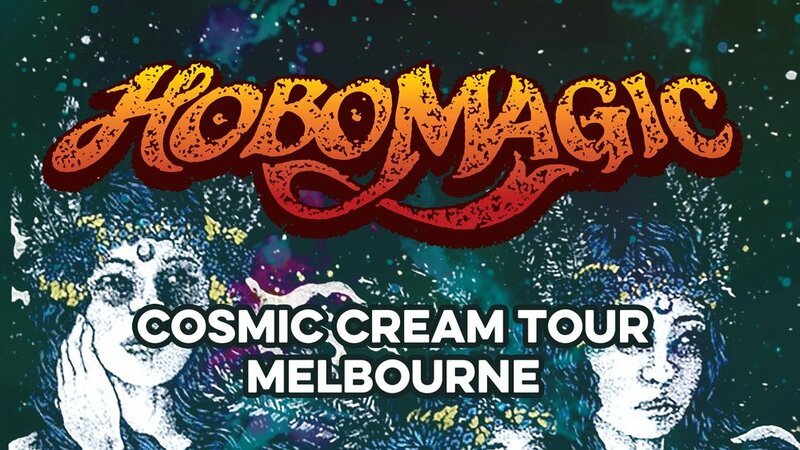 Hobo Magic accompany the 'Cosmic Cream' single release with a run of dates up and down the East Coast including an appearance at Australian Music Week and River Rocks 2018 SOLD OUT.